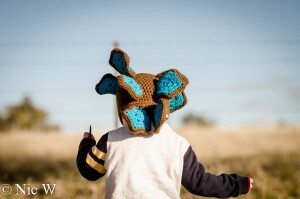 My very clever mate, Karin, is pretty handy with a hook and yarn. 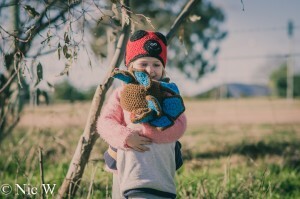 She has made both my kids some very cute beanies with her talents. 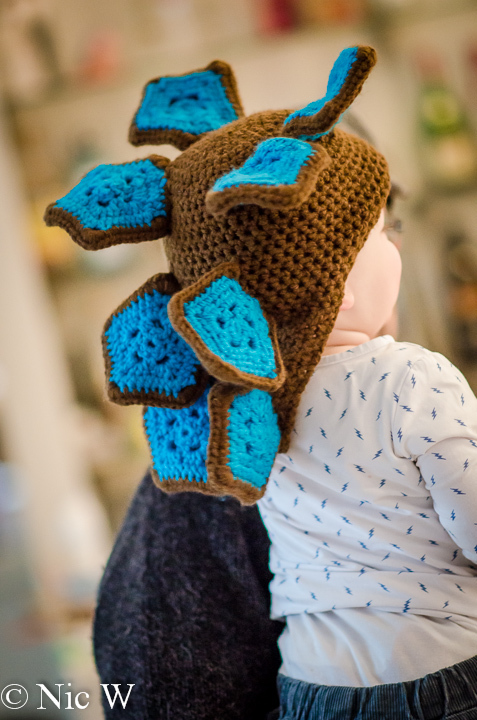 I can knit, but am no crocheter! 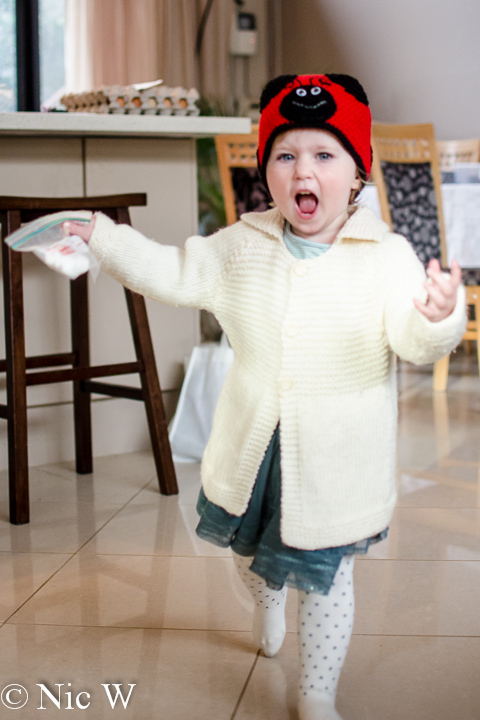 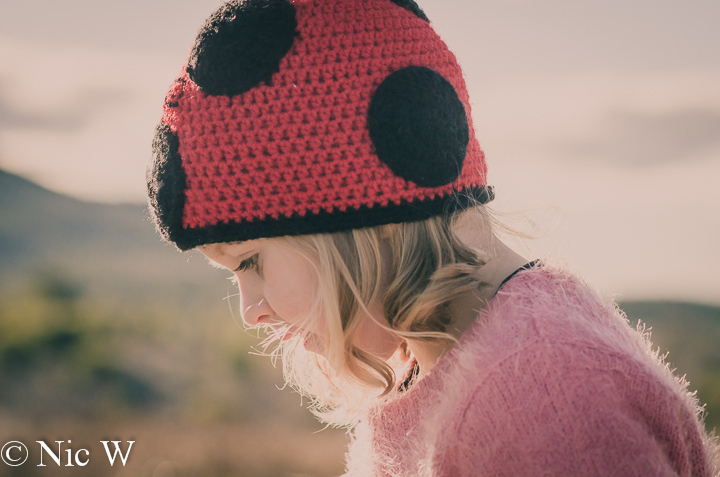 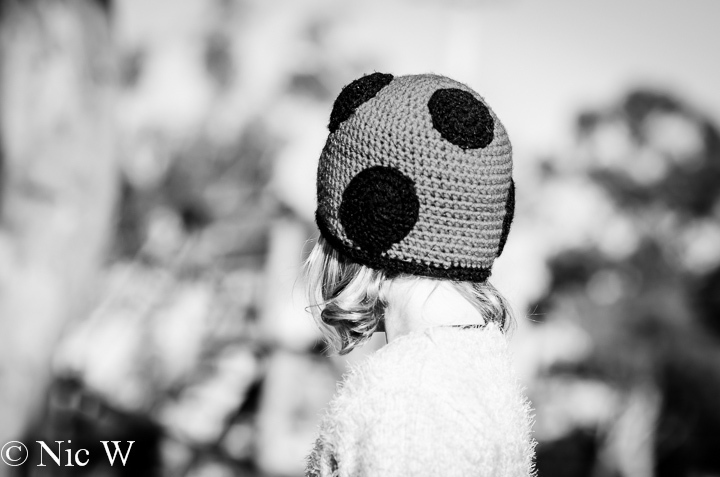 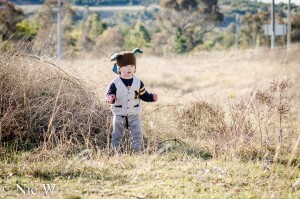 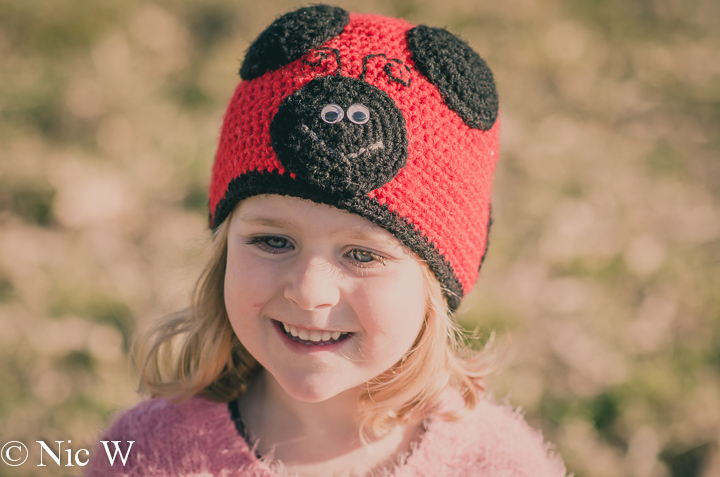 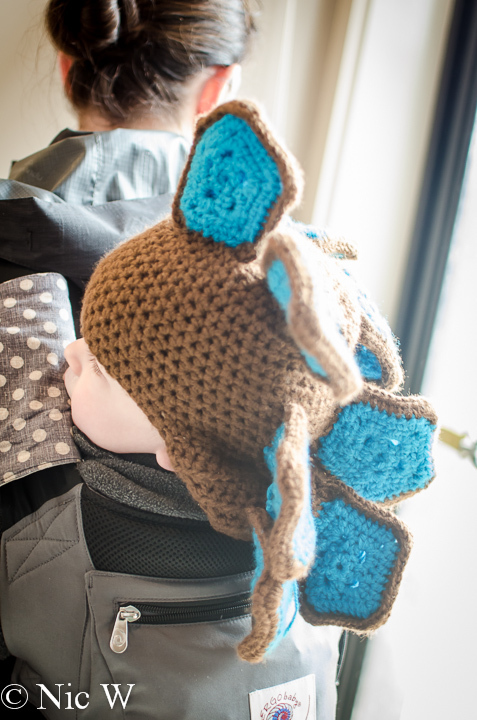 Back when Astrid turned 2 (and had a bugs and bees birthday party), Karin made her a cute ladybug beanie. 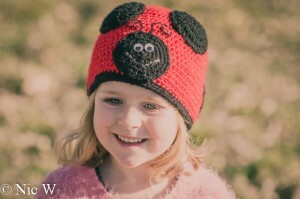 Here is Astrid modelling it at just 2 years old. 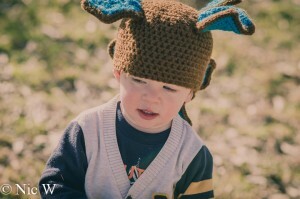 Well, the beanie still fits. It is well loved, and has had several sets of eyes now. 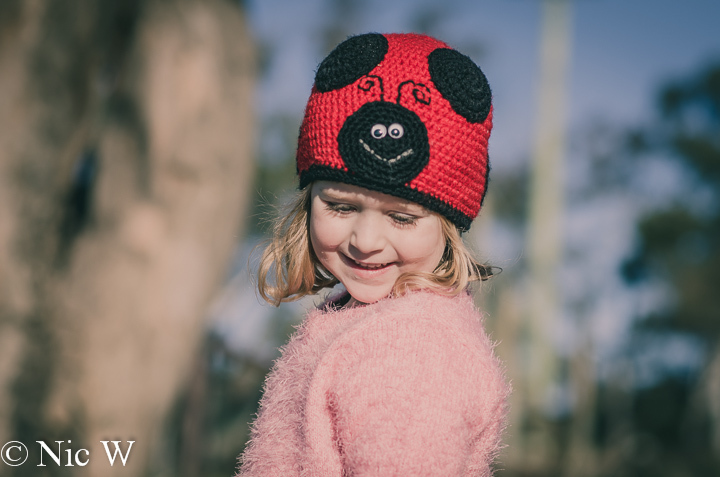 Astrid always gets compliments on it, and she still loves wearing it………. 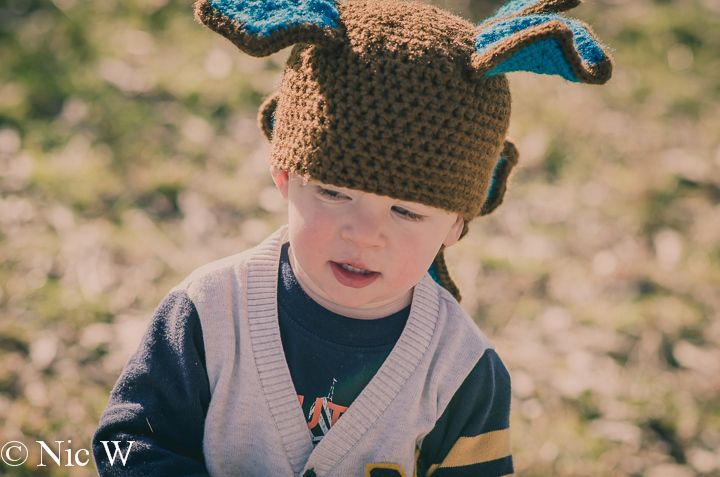 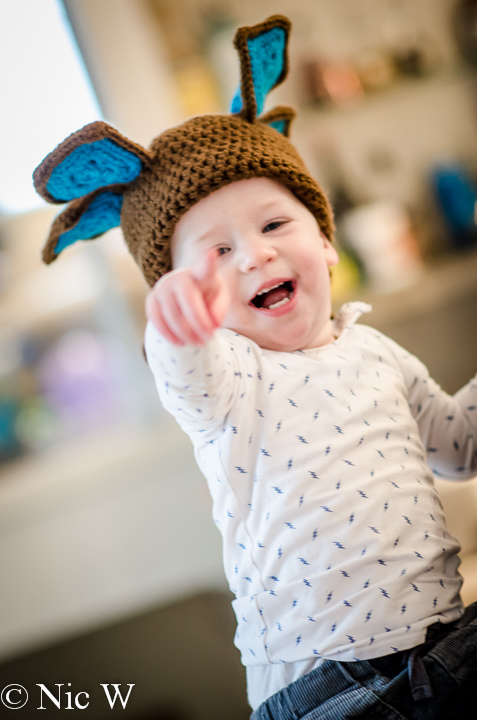 To continue the tradition, Karin offered to make Soren a beanie, for an early 2nd birthday present (while it’s still Winter). 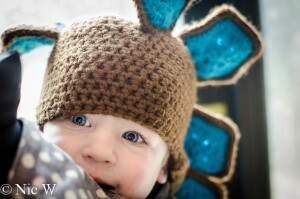 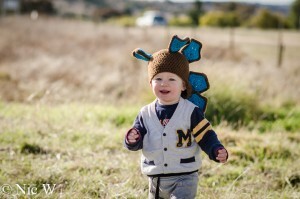 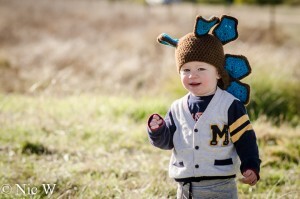 Since he loves dinosaurs, I suggested a dinosaur beanie. 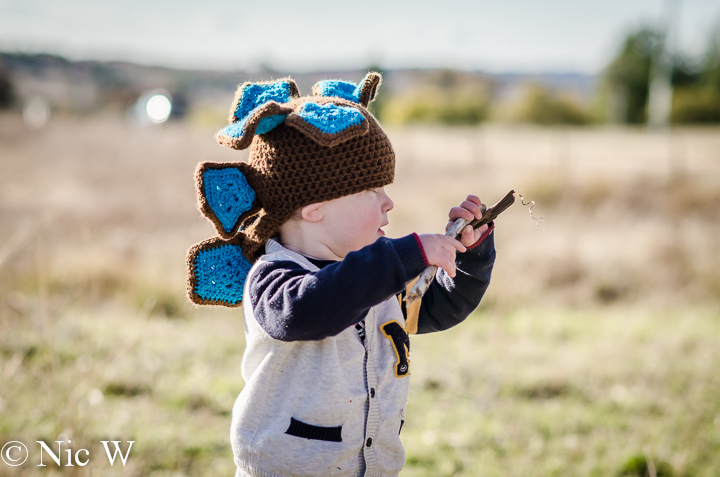 It turns out that dinosaurs are more effort than ladybugs. The dino is a hit though. 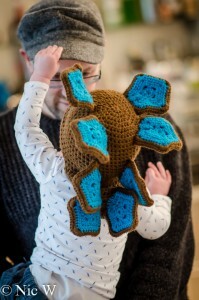 Apparently this design is never to be repeated, due to the annoyance level. 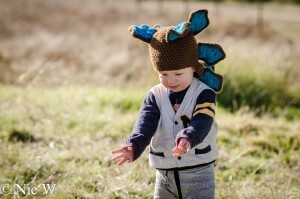 Lucky the Sorenosaurus looks very cute and adores his beanie. It’s been worn every day since he got it, when out walking the alpacas and even at home playing dinosaurs. 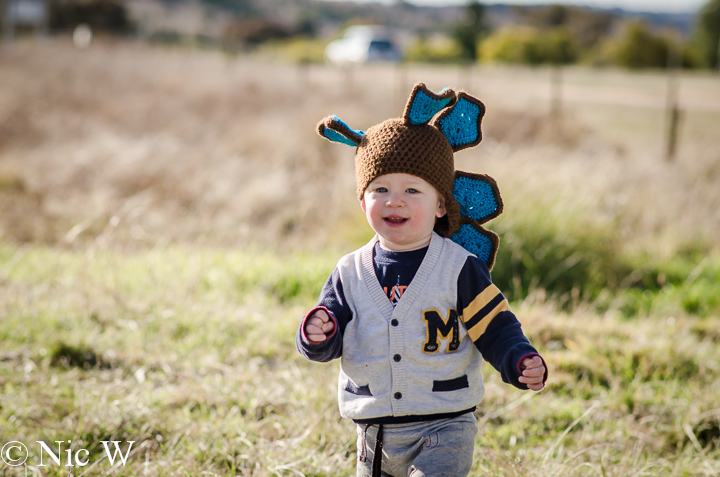 He loves wearing it down to preschool while riding in the ergo, and we’ve heard several shouts of ‘look there goes a baby dinosaur’ from passing kids, so it gets the seal of approval all around. The spikes need adjusting from time to time but Soren loves being a Sorenosaurus and he will probably still be wearing it at 4 too! 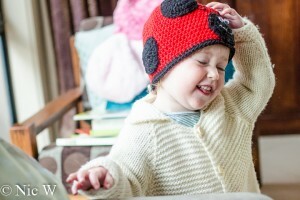 Posted in 21 months, 4 years, Astrid, beanie, dinosaur, kids, ladybug, SorenBookmark the permalink.